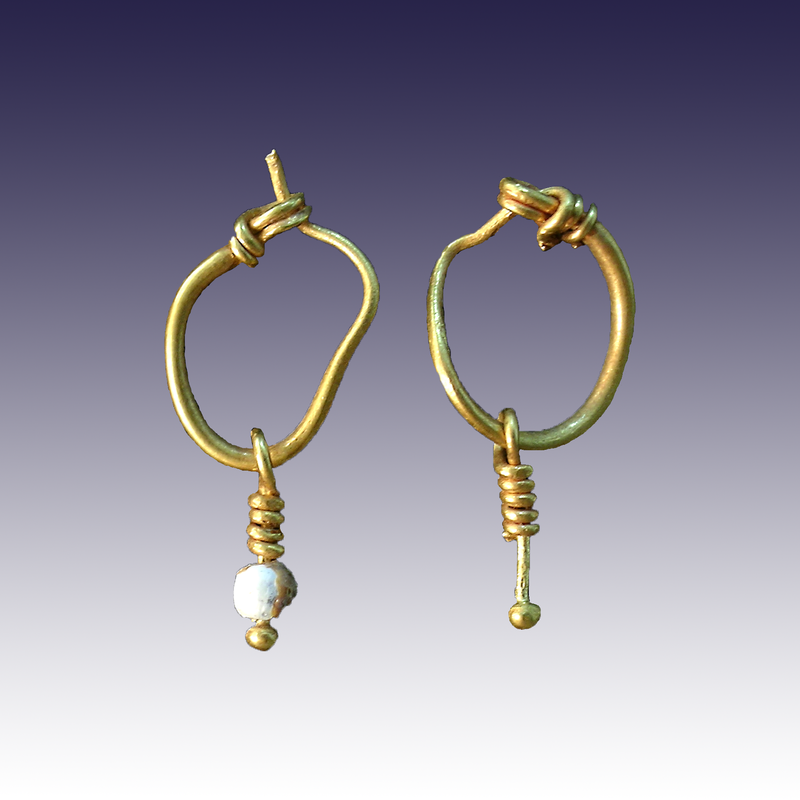 Matching pair of gold earrings. Oval to circular wire ending in a small loop with wire wrapped around the loop. 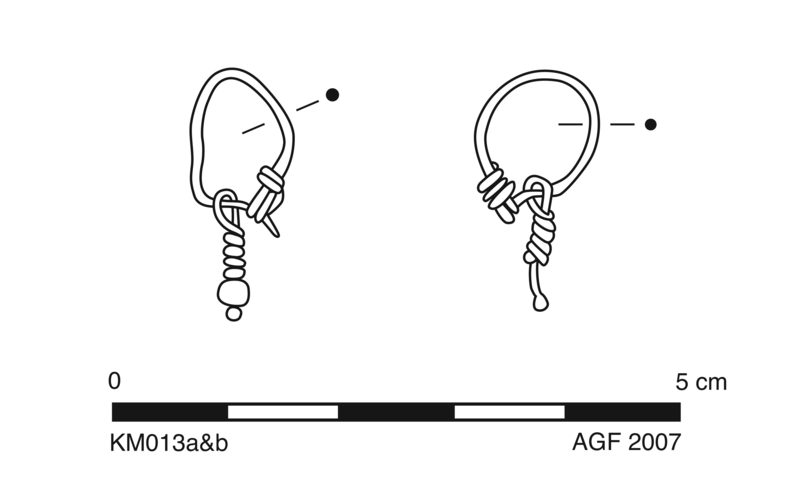 Wire pendant (L. 0.011 m) attached by loop with wire wrapped around top portion of pendant shaft. 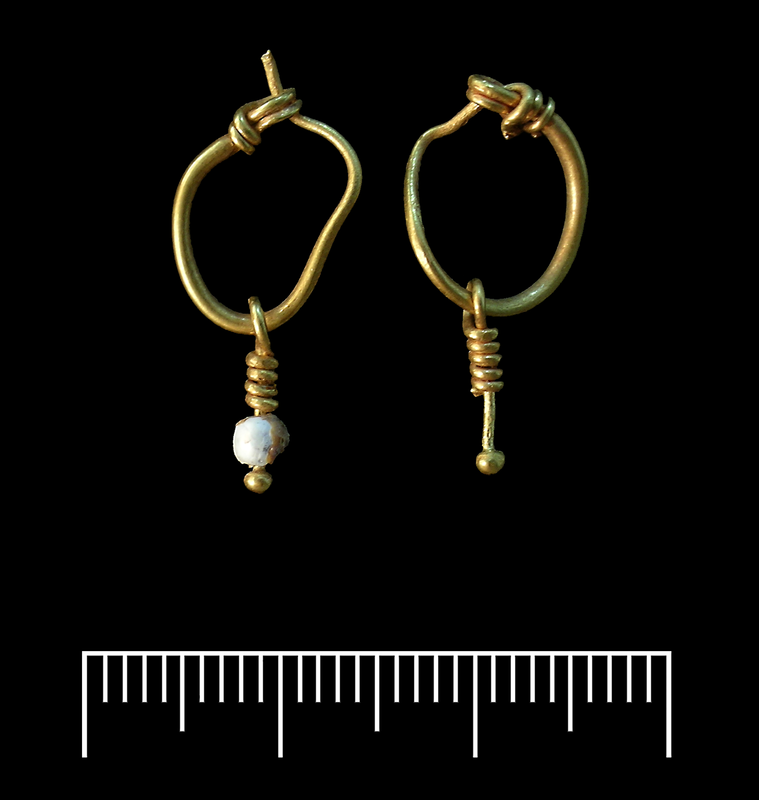 Small spherical bead in opaque, white glass hangs on pendant, secured by a small gold ball fastened to the end of the shaft. Both loops intact in good condition; bead of KM013a is chipped and bead of KM013b is missing.